Born from the friendship between Luke Solomon and Derrick Carter, Classic is above all else a “family” label; an assembly of diverse artists who refute convention but share in the motivation to satisfy only their own artistic intentions. Fulfilling their desire for a platform to share their left-of-centre house selections with the world, Classic began in 1994 as a vinyl imprint, starting at catalogue #100 and counting backwards to zero. Once at zero, Classic retreated briefly before coming back stronger, wonkier and with extended family in tow. Blaze’s ‘Lovelee Dae’ and Isolée ‘Beaut Mot Plage’ are Classic tracks and for this compilation along with Groovestyle ‘Freedom Train’ and Home & Garden ‘So Special’ showcasing the label’s penchant for jacking trippiness. More recently, the label has been instrumental in enhancing the careers of artists like Honey Dijon, Eli Escobar, Seven Davis Jr., Red Rack’em, Soul Clap, Hannah Holland and James Curd. At this moment in time when the label is enjoying its creative zenith, two records stand out for it: One is ‘Final Credits’ by Midland, apparently voted by tastemaker as 2016’s #1 record of the year and Red Rack’em’s ‘Wonky Bassline Disco Banger’, a weird track that epitomises the musical essence of the label. 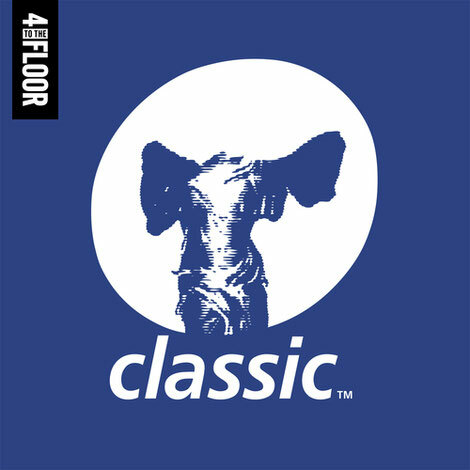 4 To The Floor Presents Classic Music Company is part of the 4 To The Floor series, selected and compiled by Luke Solomon. It also delves into the Nu Groove, Movin’ Records, Sub-Urban, Faya Combo, Soulfuric and Slip ‘n’ Slide catalogues, digging for those lightbulb moments of musical discovery. Fulfilling his role as your friendly record shop assistant, Luke’s series comes correct with brand new vinyl LP collections and digital albums from these house labels, plus official label merchandise to accompany all of the releases.